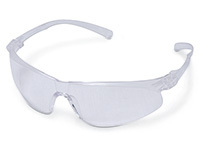 Sleek sport style and lightweight, clear frame make long term wear more comfortable. 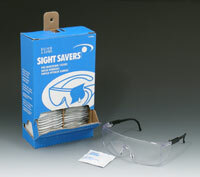 High wrap lenses have front and side coverage. Clear, anti-scratch, polycarbonate lenses absorb 99.9% UV. Meets the requirements of CSA Z94.3-2007 and the high impact requirements of ANSI Z87.1-2003.